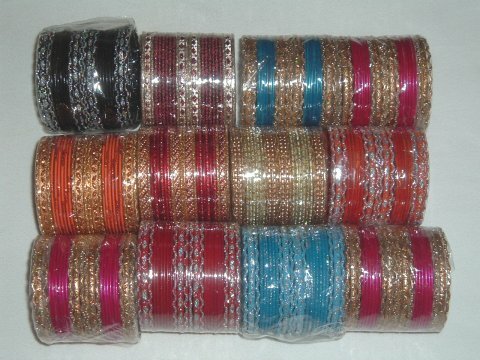 Set of 12 colored Indian metal bangles. Set consists of 4 plain colored and 8 glittered bangles. Available in different colors and sizes.